We can't get enough of our new Kendra Scott Nail Lacquer! It's the perfect add-on accessory to make your jewels pop and the newest Winter lacquers in drusy and metallic leaf are festive and sparkly and will take your whole look to the next level. 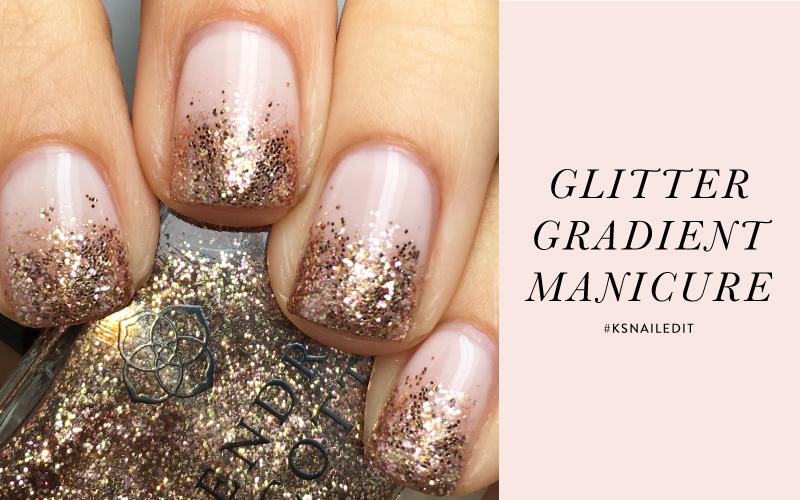 Read on to learn step-by-step how to give yourself a Glitter Gradient Manicure! Pile on a Naomi Ring or Boyd Cocktail Ring in Rose Gold Drusy or stack up your Alistar Rings and prepare to let your digits dazzle!